Hope to make to Vichy today, on 10th day of cycling and 11 days into the trip. All going well, knees included. I hadn’t expected a sore achilles tendon, but hey, what’s Ibuprofen for anyway. 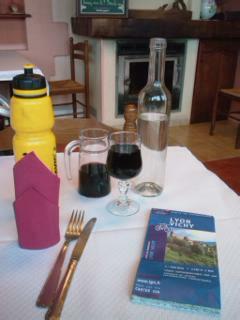 And travelling in France at lunchtime has its compensations.See photo!